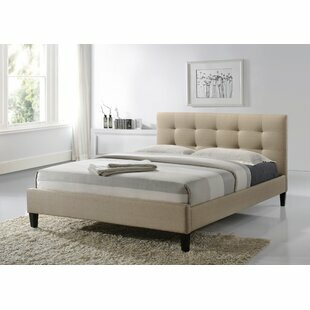 Modern Style with an understated design created this wonderful upholstered panel bed. Antique Nickel rivets add a touch of timeless style. Neutrally toned upholstery can coordinate with many color themes. 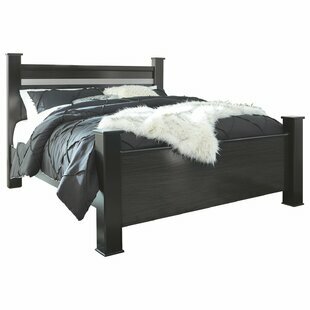 Features a hardwood frame for added strength and durability. 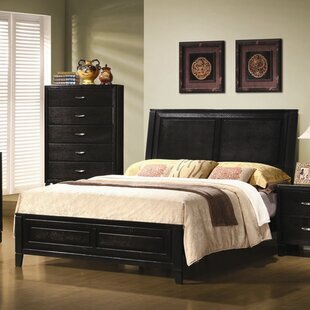 Frame Material: Solid + Manufactured Wood Box Spring Required: No Assembly Required: Yes Overall Product Weight: 52 lb. 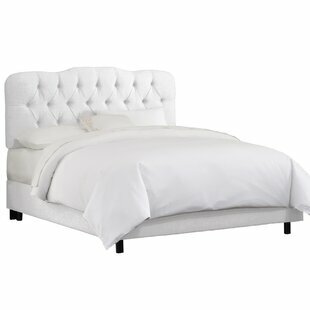 The bedroom collection reflects contemporary design with sleek straight lines in this padded bed. It is crafted in selected PU materials in different options to choose and complemented by storage cases carefully made with hand-selected veneers with beveled front drawers and hardware. Frame Material: Manufactured Wood Box Spring Required: Yes Assembly Required: Yes Overall: 47 H x 86 W x 79 L Overall Product Weight: 94 lb. 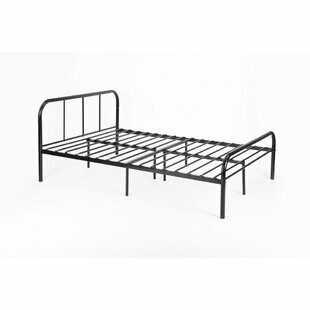 Metal bed frame twin size without headboard. 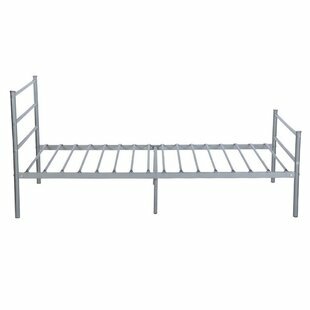 Frame Material: Metal Box Spring Required: No Assembly Required: Yes Overall: 14.4 H x 36.2 W x 75 L Overall Product Weight: 26.6 lb. 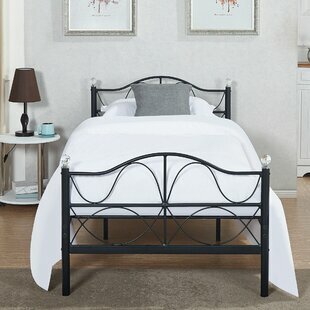 Metal bed frame twin size with headboard and stable metal slats. 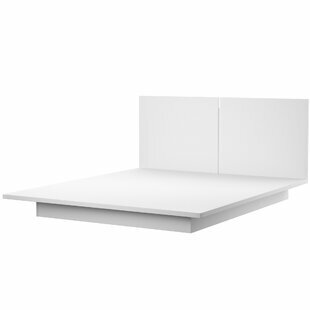 Frame Material: Metal Box Spring Required: No Assembly Required: Yes Overall: 34.6 H x 35.9 W x 77.3 L Overall Product Weight: 27.5 lb. 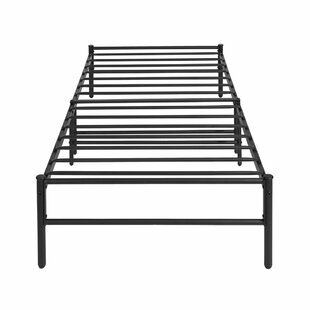 Metal bed frame queen size with headboard and stable metal slats. Frame Material: Metal Box Spring Required: No Assembly Required: Yes Overall: 31.5 H x 55.8 W x 78 L Overall Product Weight: 42.5 lb. 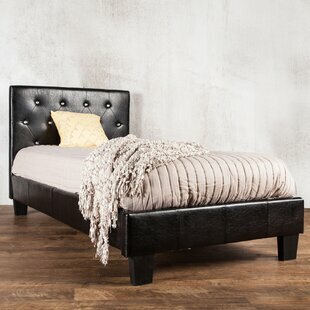 Bring streamlined style to your bedroom with this queen platform bed. 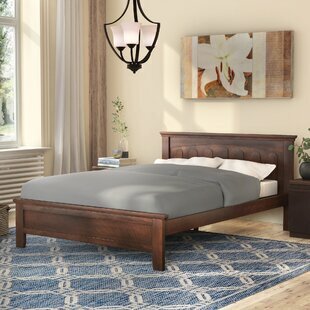 Crafted of manufactured wood with laminate veneers, the headboard strikes a clean-lined rectangular silhouette split down the middle for added depth and dimension. A flat platform extends around the perimeter of the bed, held up by low-profile foot and side rails, while a hidden platform accommodates your preferred mattress (not included) without the need for a bulky box spring or bunkie board. 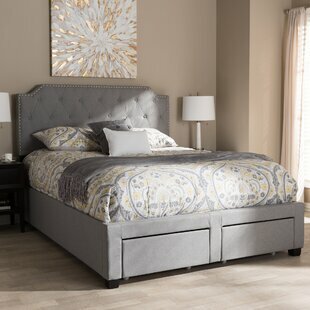 Measures 38" H x 74" W x 87" D... Frame Material: Manufactured Wood Box Spring Required: No Assembly Required: Yes Overall: 38 H x 74 W x 87 L Overall Product Weight: 189 lb. This Platform Bed is made of real, smooth, unfinished tulip poplar harvested in the mountains of Virginia. 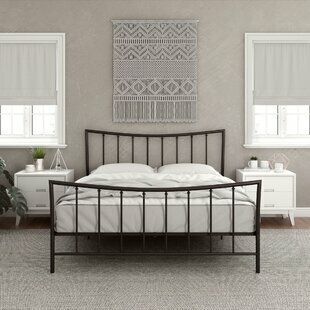 This bed frame provides a classic and clean mission-style headboard - a style that was popularly associated with the American arts and craft movement in the early 1900s. 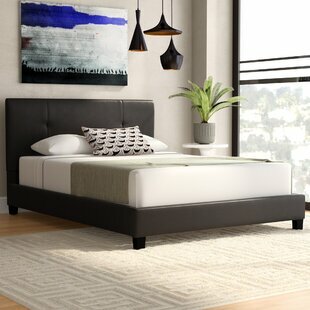 This Platform Bed offers a slat spacing of 2.8 Inches for Latex or Memory Foam mattresses and has recently been redesigned to include a 40" tall headboard, and slats flush with the tops of the rail. Take comfort in... Frame Material: Solid Wood Box Spring Required: No Assembly Required: Yes Overall Product Weight: 61 lb. Not just the foundation for your mattress, bed frames are canvases for your bedrooms style. This design, for example, sets the tone for a vintage-inspired space, sporting bold curves, spindles topped by decorative finials, and a dark roast finish. Crafted from iron, this essential includes leg extensions that allow you to adjust the height as you please. We also recommend using a box spring to bring added support to your mattress. Frame Material: Metal Box Spring Required: Yes Assembly Required: Yes Overall Product Weight: 59 lb. 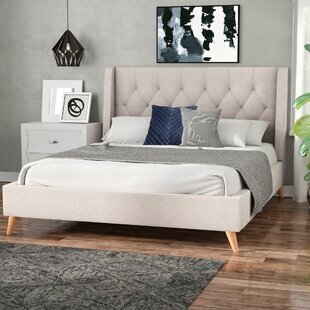 The classic rectangular headboard gets a stylish update with a dual row of burnished brass nailhead trim in the attractive Charlie Upholstered Panel Bed. Matching low-profile side rails and footboard keep the minimalist profile looking clean, balancing it on two angle-cut feet at the bottom edge. 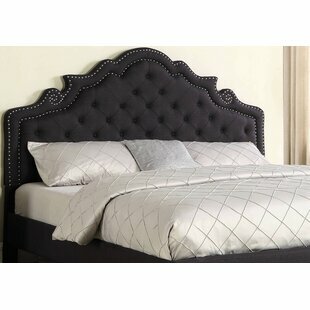 The soft, upholstered headboard can be adjusted to sit at two different heights for a customized bedroom look. Underneath, four-footed wooden slats offer stable, consistent support for your mattress... Frame Material: Solid + Manufactured Wood Upholstery Material: 100% Polyester Box Spring Required: Yes Assembly Required: Yes Overall Product Weight: 64 lb. Ready for a refresh in your restful retreat? 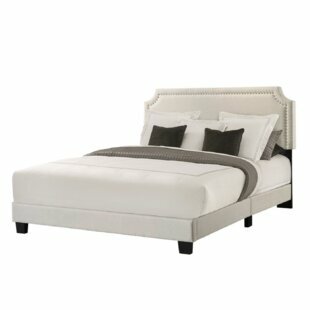 Anchor your ensemble in charming style with this understated panel bed. Inspired by farmhouse designs, it showcases a carbon steel frame with contrasting straight and sloping lines. 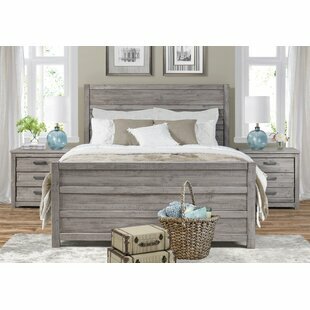 The matching headboard and footboard feature open frames with widely-spaced bars for a vintage-inspired look. It is finished in a black hue, which pairs well with a variety of color palettes. Just add a box spring and mattress of your choice! Frame Material: Metal Box Spring Required: Yes Assembly Required: Yes Overall Product Weight: 52 lb. If you want to have sweet dreams, it starts with a good bed and if youre still looking for the right one, this piece is here to help. Crafted from metal, it arrives with a slat kit included, saving you a trip to the store. 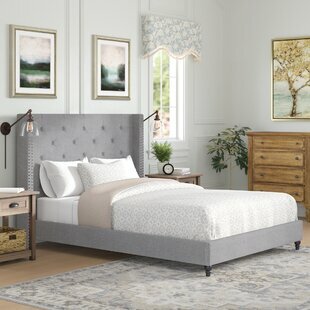 The head and footboard boast an open design with scrolled detailing, anchoring your bedroom in country cottage style, while a white finish allows it to blend with a variety of color schemes. 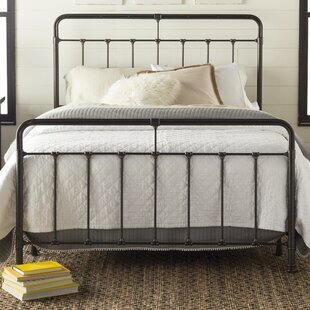 Frame Material: Metal Box Spring Required: No Assembly Required: Yes Overall Product Weight: 38.5 lb. 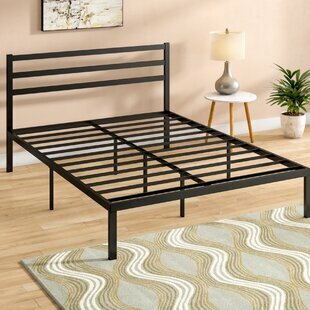 Frame Material: Manufactured Wood Box Spring Required: No Assembly Required: Yes Overall: 11.63 H x 63.63 W x 81.25 L Overall Product Weight: 159 lb. 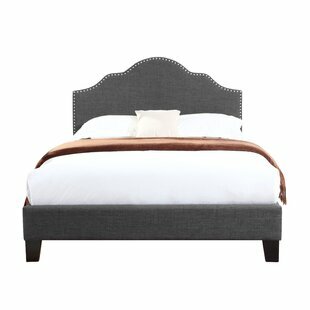 Open scrolling details pair with turned finials to round out this metal bed in sophisticated style. 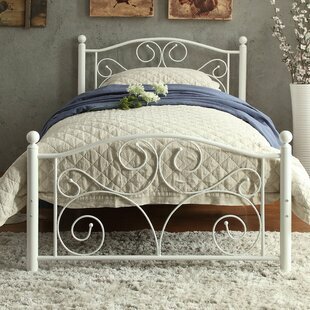 Use it to anchor your master suite in timeless style, then pair it with crisp white sheets for a resort-worthy look. Frame Material: Metal Box Spring Required: Yes Assembly Required: Yes Overall: 49.5 H x 64 W x 84.4 L Overall Product Weight: 43.5 lb. Add traditional-inspired style to your home with this lovely platform bed, a perfect foundation for a variety of settings. The warm cappuccino finish and clean-lined design give this piece versatility, while the classic carved detailing and sleek legs add an extra touch of traditional appeal. 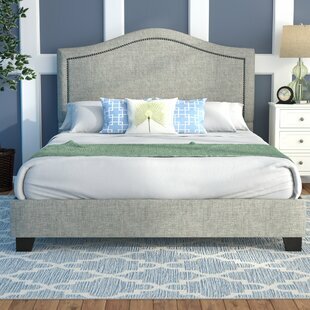 Whether you want to refresh your master suite in classic style or craft an understated and inviting guest room, this bed is a must-have for your home. 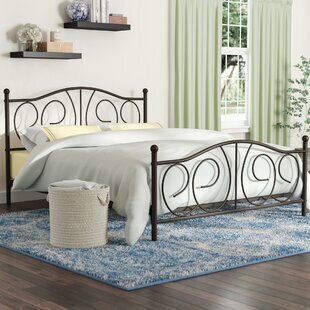 nTry setting this lovely bed at the center of your... Frame Material: Solid Wood Box Spring Required: No Assembly Required: Yes Overall Product Weight: 55.2 lb. 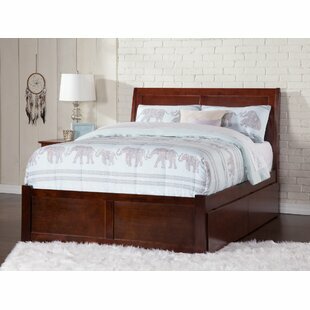 Anchor your bedroom in streamlined traditional style with this panel bed. 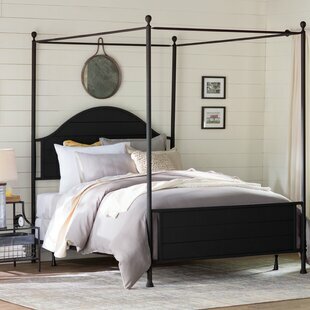 Crafted of powder-coated steel in a matte black finish, this bed features an arched headboard and a rectangular footboard each showcasing wide-spaded spindles, decorative finials, and heavy casings. 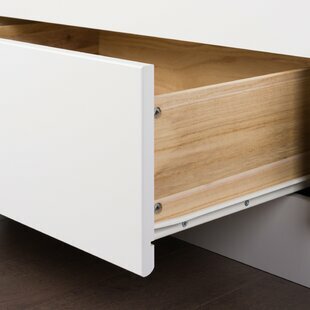 Rounding out the design, horizontal slats and a series of support legs accommodate your preferred box spring (required) and latex, memory foam, or traditional innerspring mattress (not included) while offering 7.5" of... Frame Material: Metal Box Spring Required: Yes Assembly Required: Yes Overall Product Weight: 19 lb. Your restful retreat plays two very important roles in your home: whisking you off toward dreamland each night and providing an eye-catching focal point to your guest bedroom or master suite ensemble. Refresh your sleepscape with this must-have platform bed! 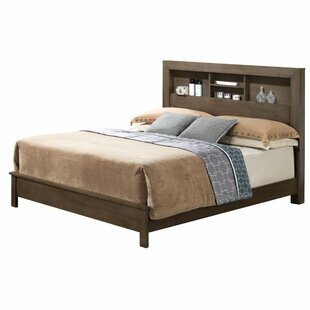 Crafted from solid wood, it showcases a clean-lined silhouette with paneled accents, and boasts a brown finish. 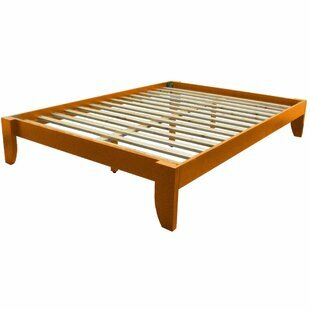 Frame Material: Solid Wood Box Spring Required: No Assembly Required: Yes Overall: 50 H x 78.75 W x 86.62 L Overall Product Weight: 184.5 lb. 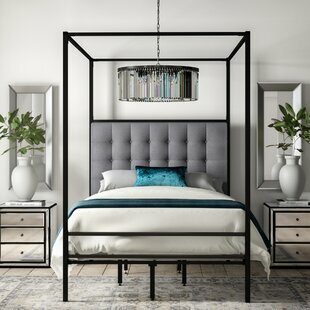 The Latitude Runs Latest Innovation, The Kennith Bed Collection, Solves The Problem Of Having To Sacrifice Fashion And Style In The Bedroom Due To Difficult Assembly, Oversized Components Or Costly Expenses. 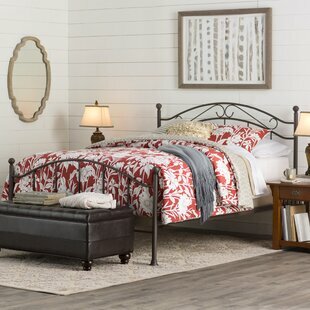 The Is A Transitional Style Bed With Rounded Edges That Frame Clean, Straight Lines Throughout The Headboard And Footboard. 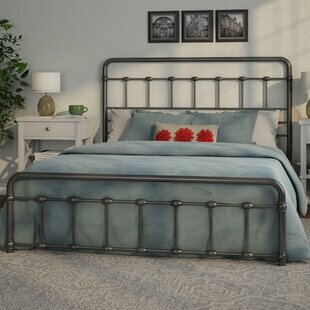 Constructed Of Carbon Steel For Strength And Stability, The Frame Has A Brushed Silver, Weathered Nickel Finish With Castings To Provide Extra Detail In This Bed... Frame Material: Metal Box Spring Required: No Assembly Required: Yes Overall Product Weight: 58 lb. 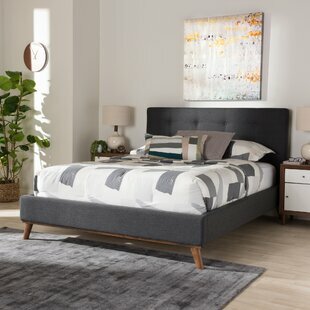 The perfect anchor for any teens bedroom, this upholstered platform bed sets the stage in contemporary mid-century modern sleeping chambers. Its solidly-hued polyester upholstery is wrapped over foam for a clean-lined and stylish understated platform base and tapered wooden legs. 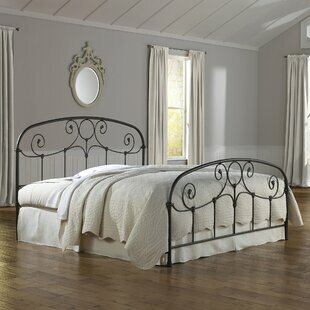 Its lack of a headboard gives it an understated look that lets your bedscape shine. 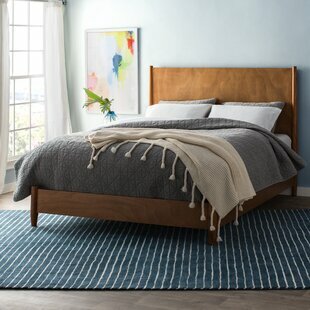 Crafted from a wooden frame, its included slats provide the perfect foundation for a mattress of your choice: no box spring required... Frame Material: Solid Wood Upholstery Material: Faux leather Box Spring Required: No Assembly Required: Yes Overall Product Weight: 73 lb. The Graftons soft rounded shoulder design through heavy tubing creates an historic appeal through the overall shape of this bedroom piece. 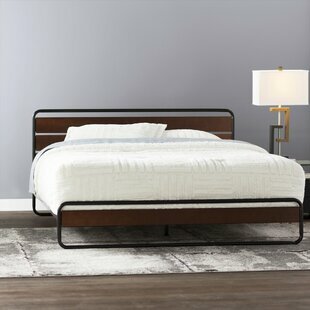 Constructed of carbon steel for stability and years of everyday use, the 52.25-inch headboard and 36-inch footboard are finished in a Rusty Gold that carries an inner-warmth, elevating this bed beyond typical iron beds. 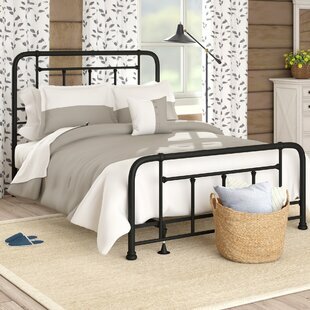 The charming design features prominent scrollwork thats secured in place with decorative banding, and the (12) solid castings gives... Frame Material: Metal Box Spring Required: Yes Assembly Required: Yes Overall Product Weight: 57 lb. Traditional with a twist, this platform bed is a perfect pick for turning your bedroom into a stylish and restful retreat. Its metal frame sports a camelback silhouette wrapped in linen upholstery for a touch of texture, while foam fill gives you a place to lean back as you page through your latest read. A line of nailhead trim lends this design just a hint of modern charm. A slat kit cradles your mattress, so theres no need to add the usual box spring. Frame Material: Metal Upholstery Material: 100% Linen Box Spring Required: No Assembly Required: Yes Overall Product Weight: 102 lb. Frame Material: Metal Box Spring Required: Yes Assembly Required: Yes Overall Product Weight: 35 lb. 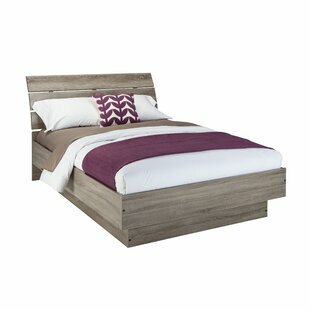 Create a rich and modern bedroom with this storage platform bed. It features an upholstered headboard for a comfortable back rest to your pillows and the footboard for convenient storage. Frame Material: Solid Wood Box Spring Required: Yes Assembly Required: Yes Overall: 51.75 H x 63 W x 88.5 L Overall Product Weight: 58.7 lb. 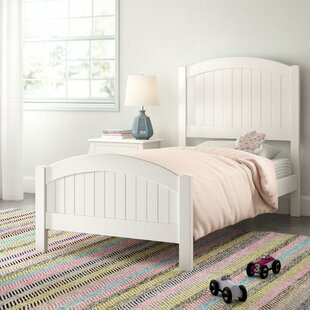 This youth bedroom collection features furnishing dipped in white accented with vertical lines carved in each piece. Frame Material: Solid + Manufactured Wood Box Spring Required: Yes Assembly Required: Yes Overall: 47 H x 39 W x 75 L Overall Product Weight: 42 lb.